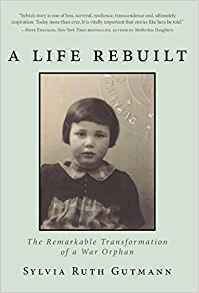 Sylvia Ruth Gutmann is the author of the new memoir A Life Rebuilt: The Remarkable Transformation of a War Orphan. It recounts her experiences as a Holocaust survivor. She lives in Massachusetts. Q: You write, "It is not an exaggeration to say that I have been writing this book all my life." At what point did you begin the actual writing of this memoir, and how long did it take? A: I began the book in 1998. I wrote three chapters. In 2014 I finished the rest of the book (16 years). Q: You recount so many overwhelmingly sad and difficult experiences that you faced. How were you able to write about them, and what impact did writing this book have on you? 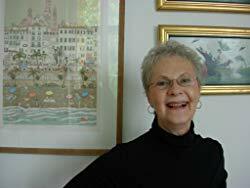 A: Writing just about my sister Rita took three years. Writing this memoir was very painful and surprisingly liberating. Q: What do your family members think of the book? A: My son cried. My cousin found it riveting. No other family has read it yet. Q: What do you hope readers learn from your memoir? A: That life is a gift, even when it's poorly wrapped, it is still a gift!! To never give up on their dreams. That when a child suffers trauma it lasts for life. A: What I am working on now is giving myself permission to feel worthy enough to love and savor this breathtakingly beautiful time in my life. A: I know that I am blessed by angels; I am a very lucky woman.